These are hearing results for the early hominins. 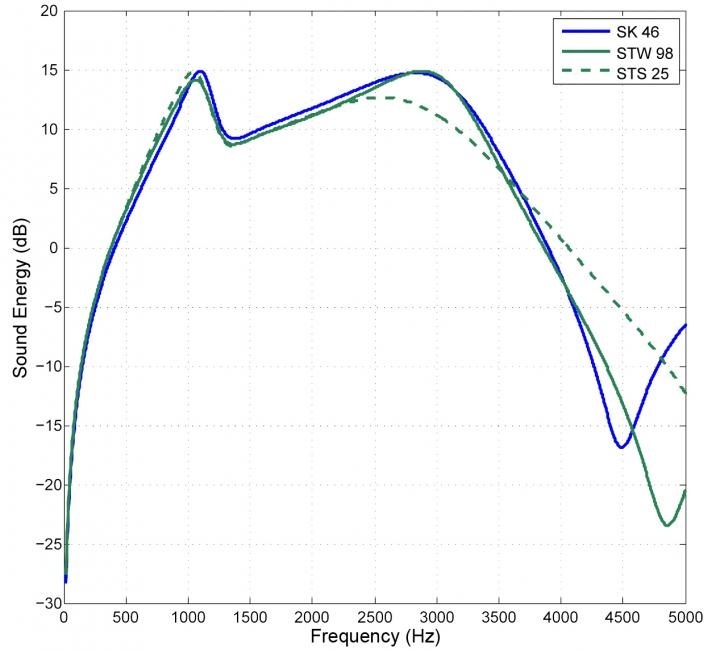 Points higher on the curve indicate greater auditory sensitivity. Note the sharp dropoff in sensitivity above about 3 kHz. 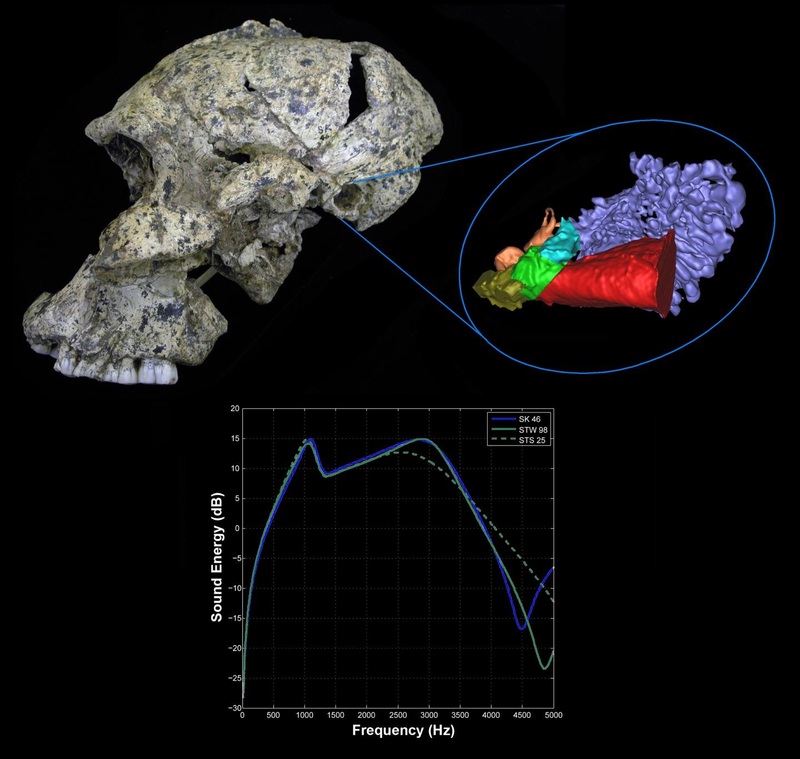 In the South African fossils, the region of maximum hearing sensitivity was shifted towards slightly higher frequencies compared with chimpanzees, and the early hominins showed better hearing than either chimpanzees or humans from about 1.0-3.0 kHz. It turns out that this auditory pattern may have been particularly favorable for living on the savanna. In more open environments, sound waves don’t travel as far as in the rainforest canopy, so short range communication is favored on the savanna. “We know these species regularly occupied the savanna since their diet included up to 50 percent of resources found in open environments” said Quam. The researchers argue that this combination of auditory features may have favored short-range communication in open environments. “We feel our research line does have considerable potential to provide new insights into when the human hearing pattern emerged and, by extension, when we developed language,” said Quam.